Now you can share 3D 360 photos with your friends and family through the Gala360 app, the first app to support 3D 360 photos and now the first to enable sharing them! Here are some samples. I love 3D 360 photos, both viewing them and shooting a few of my own with the Insta360 Pro (which can shoot 8K 3D 360 photos, i.e., 7680 x 7680). One challenge with 3D 360 photos is the difficulty of sharing them. There are now several social media platforms that support 3D 360 videos, such as Facebook, YouTube and Vimeo. However, to share 3D 360 photos, you essentially had to send the 3D photo to your friend or family and hope that they had the right app, and knew how to use the app to view 3D 360 photos. Here are some apps for doing that. There was one platform that supported 3D 360 — Gala360 — but support was only indirect. Now, Gala360 is making it easier to share 3D 360 photos by simply sending a URL to your friends or family. 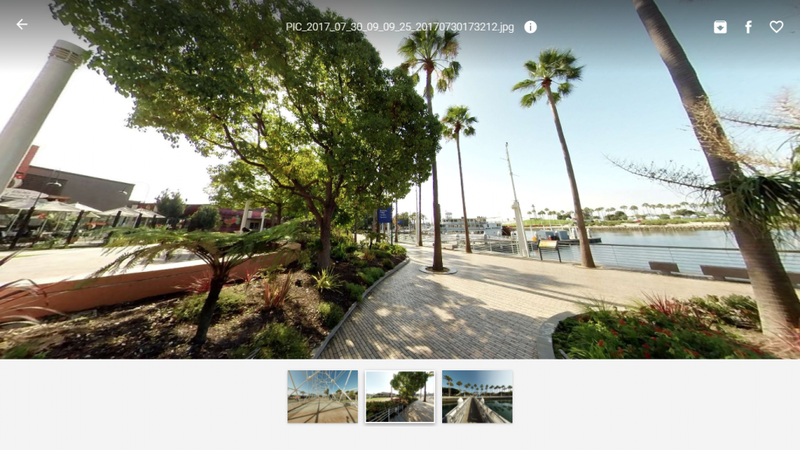 First, you upload the 3D 360 photo, which is automatically recognized as stereoscopic. If you view the photo on a monitor, it will look 2D 360. But if you use your smartphone to view the photo and tap on the Google Cardboard icon, then the photo can be viewed in 3D. 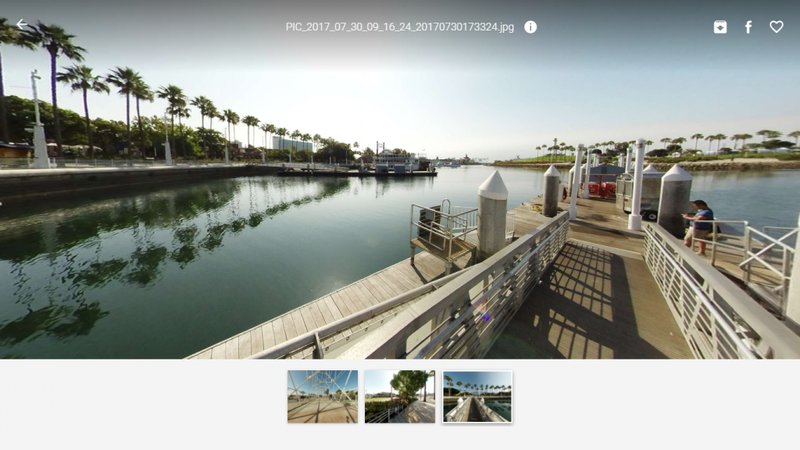 Each photo has a URL and when you share that URL to your friends or family, it can be opened in any browser (even mobile), where they can tap on the Google Cardboard icon to see the photo in 3D. They don’t need to install the Gala360 app. Here is a link to an album of 3D 360 photos shot on the Insta360 Pro and uploaded to Gala360. I can’t embed the album but if you click on the link with your smartphone, you should see the web version which will have a Google Cardboard icon on the bottom right. When you tap on that, you’ll see a 3D Cardboard view. I’m so glad that there’s finally an easy way to share 3D 360 photos! 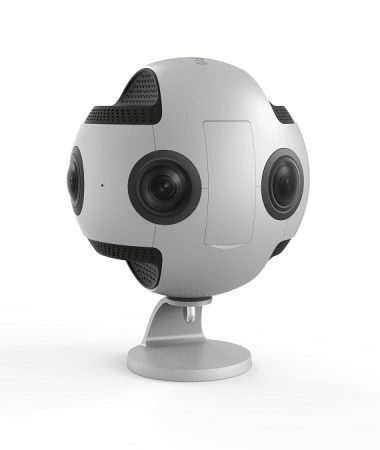 If you know anyone who shoots 3D 360 or is interested in viewing them, please let them know about Gala360! 😀 And sit tight — soon, there will be one other 360 photo platform that will support 3D 360. Thank you very much to John Holt for bringing this to my attention! You can check out his page on Gala360 where he has several 3D 360 photos. Oculus Go: should you get Facebook’s affordable standalone mobile VR headset?